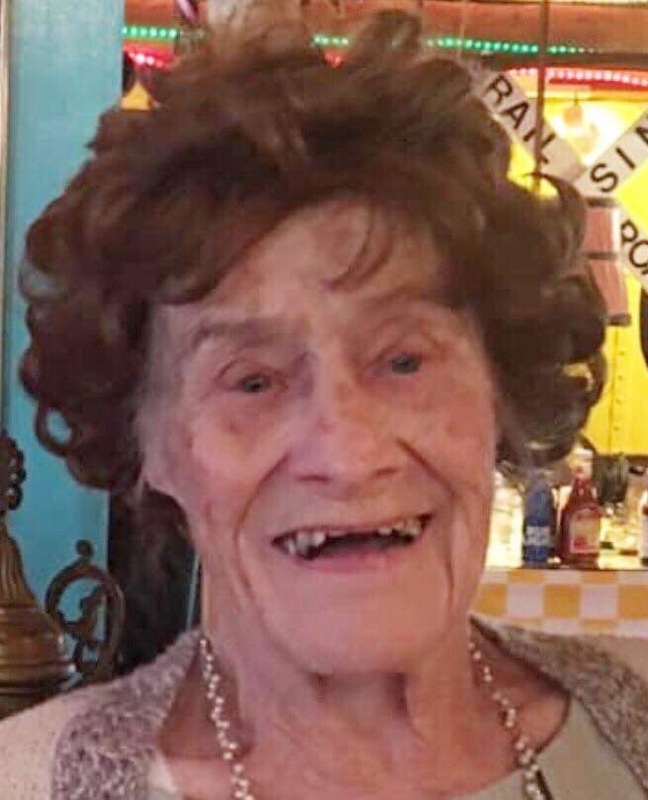 Nesby E. Huntoon, 99, formerly of Fairgrounds Road, Gifford, passed away Sunday, April 7, 2019, at her son’s residence in Virginia. Born December 31, 1919 in Instanter, she was a daughter of the late Thomas and Margaret (Bitters) Carl. She was a 1939 graduate of Mt. Jewett High School. On December 13, 1944 in Redbank NJ, she married Harry B. Huntoon who died February 28, 2000. Nesby was a homemaker, whose pride and joy was gardening with her husband, canning their produce, and making her prized pies. She was also a member of the DAV Auxiliary. Surviving is one daughter, Susan (Ansel) Crabb, of Colechester CN, three sons, Thomas B. (Linda) Huntoon, of Gifford, Richard C. Huntoon, of Manchester, CN, and Michael P. (D.Reece Wilson) Huntoon of Staunton, VA., with whom she lived for the last three years. Two grandchildren, Sunny Walsh, and Jade Munroe, one great grandchild, Jack Munroe, and several nieces and nephews, many of whom she was very close to. She was preceded in death by her parents, husband, two sisters, and six brothers. A brother, Floyd Carl, survives in Texas. At Nesby's request there will be no services observed. Funeral arrangements are under the direction of the Hollenbeck-Cahill Funeral Homes Inc. Burial will be in McKean Memorial Park. Memorial contributions, if desired, may be made to Hamlin Memorial Library in Smethport, Pa., or the charity of the donors choice. I really enjoyed the few occasions I spent with Nesby. And I admired her devotion to the vets. What a great sense of humor! I wish I had known her better. Tom and Linda I am so sorry for your loss. Prayers for you and your family. Tom & Family, Sorry for your loss. You are all in our thoughts and prayers.